Whenever business owners use the Strategy First approach to fulfill their business marketing goals, they always start with a vision of what they want to accomplish. They then refine that vision with a concrete plan of marketing tactics and before actually implementing these tactics they also think of back-up plans. Regardless of what type of marketing tactic is used in the end, as long as you keep your marketing strategy in mind, success will follow. Because all businesses have different organizational structures, many small business owners believe it will benefit them to first identify what the most appropriate marketing tactic is for their particular business. What might be a popular choice for marketing a larger businesses or even for the small business owner next door might not be the best fit for your business. 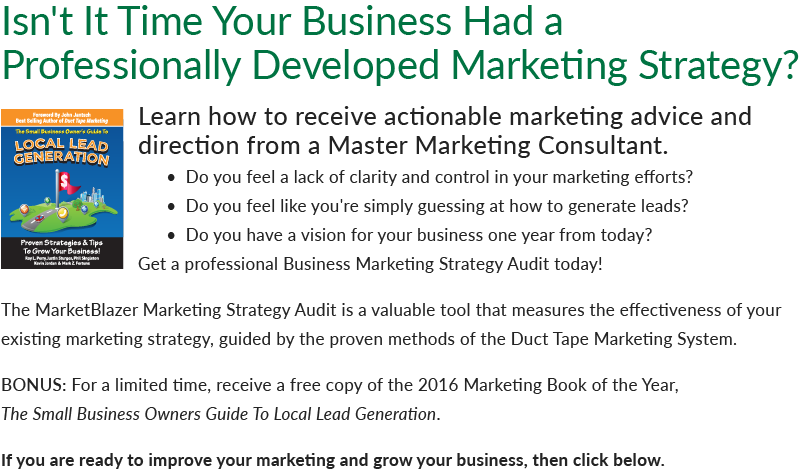 Though it may take more time and energy for small business owners to delve into building a solid marketing strategy first, it will serve these small business owners in the end to tailor their plans to better fit a solid marketing strategy rather than jumping at the first marketing tactic that seems to be the hot topic of the month. Before you can begin to formulate a plan of marketing strategies, you must first identify three important components that will create the basis for your plan: first, who your ideal client or target market is; second, what gives your particular business a competitive advantage over other businesses offering similar products and services; and third, how do you communicate that unique difference in a compelling way. After honing in on these three aspects of Strategy First, you will be able to devise the best possible marketing strategy for your business. Who is your Ideal Client or Target Market? Who is it that you want requesting your products and services? Who are the people you want to be working with in the future? Who needs the products and services you are offering? You may be tempted to say that your ideal audience is anyone who is willing to pay for your products and services, and in this economy you might have a point, but the vagueness of that audience grouping can hinder you from really tailoring the content and style of your business marketing message to reach the customers who truly want to invest into what you have to offer. When you clearly identify your target audience; your ideal client or target market, you will have a better understanding of how to shape the content of your business marketing message. And when customers see that your message is more personal and more focused, they will have a better impression of your business and will be more likely to use your products and services in the end. Your identity in the marketplace strengthens as your message becomes more focused, exuding confidence and authority to prospects. 1. Do some research to find out which of your clients are most profitable. 2. Of those, identify which ones refer your company to others. 3. From those that refer your business, identify which ones have similar demographics. 4. 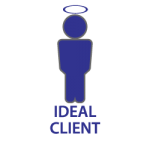 Identify what behaviors make them the ideal client. 5. Create a description of the Ideal Client using the information gathered in this process as a part of your marketing guide. Completing the components of identifying your ideal client creates a process that forces you to think about you business from your customers’ point of view. If you do not focus your message to cater to a specific type of customer through a similar process described above, you may run into the problem of attracting consumers who want you to perform a wider range of services for them. With bigger or unrealistic expectations there is a risk for the customer to feel disappointed in your attentiveness or expertise. This can be detrimental to your business if customers have a poor experience, they might spread the word through review sites and word of mouth, potentially alienating future customers. With a narrower marketing message, the customers know exactly what they are asking for and will feel more confident that you can satisfy their needs, resulting in positive feedback for your business. These are the ideal clients who need what you have to offer, can afford such products and services, know what you do to go above and beyond other companies, and invest themselves into your business again and again because of their positive experience. 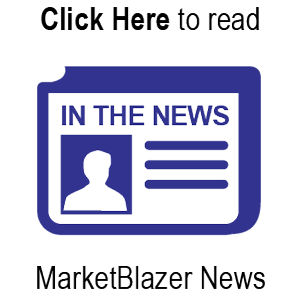 More Information on your Ideal Client or Target Market. What makes your business different? 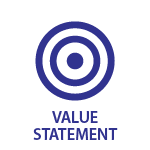 What is your Statement of Value? How you describe your business in terms of the value you offer is critically important. What you say is a reflection of your business and its unique products and services. Keeping in mind who your audience is every time you try to sell your products and services to prospects, always remember your Statement of Value. When marketing your business, remember that your business is not the only one a client will be browsing; your competitors are likely to be selling similar products and services, but what makes your business stand out among others is the unique experience you can provide working with potential prospects. What problems have you and others in your industry faced and what is it that you and your business can offer to create the best solutions possible to these problems? In identifying what gives your business a competitive advantage, be sure to seek feedback from your regular customers and note any trends in their responses. Is there one particular aspect of your customer service or product offerings that leaves a good impression on most customers? Once you identify the products and services that consistently receive good feedback, be sure to build your value proposition into your marketing strategy to reach a wider audience. Why did you hire our company? What do we excel in doing when compared to other companies? Have you ever referred us to someone else? What did you say as you referred us? What’s your definition of good service? Describe a situation in which our company provided good service. More Information on your Statement of Value. How do you Communicate that unique Difference? How you communicate your message and the manner in which you present your business and your products and services to prospects should be consistent throughout your company. Whether its your website content, sales people or even your brochures, your consistent marketing message is the way your prospects will remember your particular business. Your consistent marketing message gives your prospects an impression of what they can expect from you if they work with you in the future. The process of delivering a consistent, professional and compelling message that differentiates your business from your competitors is your Core Marketing Message. When determining how you will present your business to others, never lose sight of the aspects of your business that give you the competitive advantage over similar businesses. Remember that even if your products and services are available elsewhere, you still offer a unique experience above the rest. 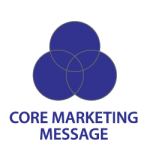 More Information on your Core Marketing Message. Be sure to identify repeated answers from your customers and watch for trends about what they say about your products and services. This will serve as the basis of how you will present your business message to others. After identifying who you will focus on as an ideal client or target market, the unique message regarding your business and its products and services and how you will communicate your unique difference, you are well on your way towards creating a solid plan for marketing success.